Western Cowboy Turquoise Blue Star Western Bedding Set This Western Bedding Set will be a great addition to your barn or bedroom. 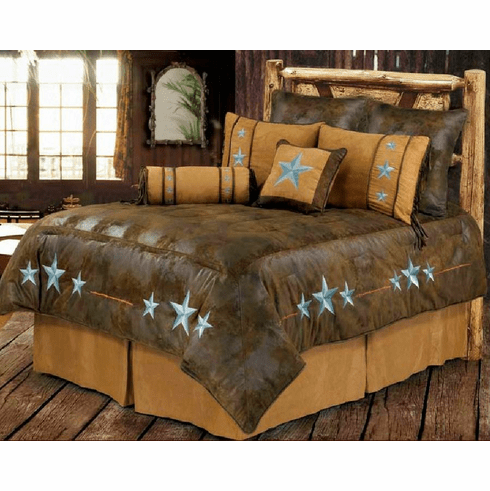 The overstuffed comforter is filled with polyester and has a genuine leather look with embroidered blue stars on a super soft micro-fiber fabric. The set come with the comforter,pillow shams,one 18x18 throw pillow and a neck pillow.